East Aurora, New York, USA – Moog has designed and manufactured a Hydraulic Simulation Table based on the company’s latest line of Hydraulic Test Actuators. This offers more capability than a conventional orthogonal system, which is a table moved by actuators mounted on its base and sides. 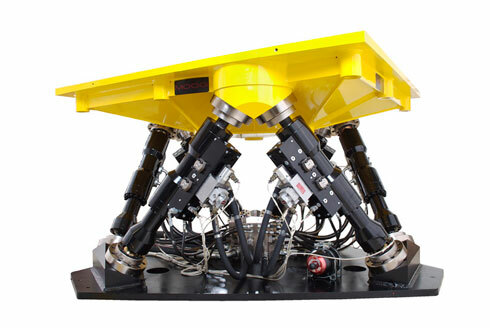 The Moog Hydraulic Simulation Table is a six-legged hexapod with two equilateral triangular frames set one above the other, offset at 30 degrees. Each apex of the top triangle is connected to the two apexes below it via Moog Hydraulic Test Actuators with Hydrostatic Bearings. The Moog Hydraulic Simulation Table gives users a frequency of response up to 100 Hz and can handle payloads up to 680 kg (1,500 lbs). Auto makers and independent test houses can use this latest simulation table to replicate real-world road conditions that strain automobile components, such as axles, engines, interior and exterior assemblies, seats, steering column assemblies, cooling module systems, truck and tractor cabs, and After Treatment Systems (ATS) for heavy-duty diesel applications. 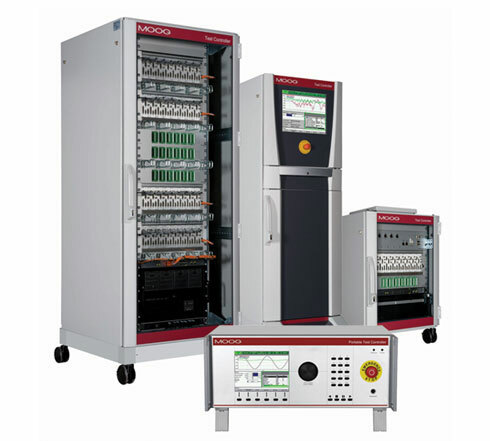 Moog designs and manufactures the servo valves, actuators, test controllers and software used as an integrated system in the Hydraulic Simulation Table. Exova Group Ltd. is a leading provider of laboratory-based testing and related advisory service. We focus on providing our customers with technically demanding, value added testing for a broad range of products and processes to ensure compliance with safety and quality standards imposed by customers, accreditation bodies and regulatory authorities. We also provide calibration services to a broad range of customers in Northern Europe. Our global network serves both our multinational clients and local markets and allows us to transfer knowledge and deliver global best practice locally. Visit www.exova.com. 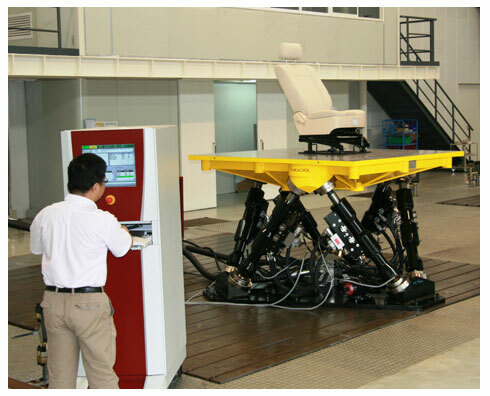 Hydraulic hexapod simulation table expands frequency range up to 100 Hz, increasing the speed, range and flexibility of automotive component testing. As seen in the May, 2011 Issue of Design News Magazine.